As the excitement surrounding our guy's landslide election subsided, I headed to the East Coast to enjoy (what I thought was) a well-deserved vacation with family. Not so for Jerry. He began his gubernatorial duties immediately, beginning with a press conference at our Oakland campaign headquarters on Wednesday - which coincided with a parade celebrating another local victory (baseball, anyone?). This past June, I decided to do something crazy. I’d been following the California Governor’s race religiously since San Francisco Mayor Gavin Newsom decided to drop out last October, and found myself instantly fascinated by this Moonbeam fellow. Not only did everyone I asked about him have something positive to say, but the little I knew of Jerry Brown - a past governorship and some Buddhist retreats through Asia - piqued my curiosity. 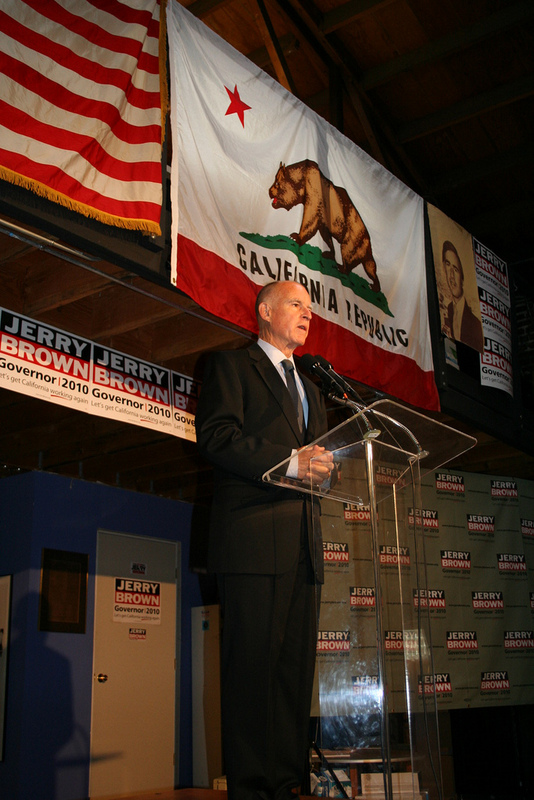 Having wanted to get involved in California politics since watching the 2008 revelry from the sidelines, I made it my mission to join the Brown campaign’s roster of part-time volunteers. So I stopped by the Oakland headquarters one morning in early summer to drop off my resume. In honor of LGBT History Month, here's a little LGBT history for you, courtesy of Mike McQuinn. Mike, a second-year law student at University of San Francisco, works on Jerry Brown's GLBT outreach efforts. You’ve probably heard about how Jerry Brown refused to defend Proposition 8 (the so-called California Marriage Protection Act) as our Attorney General. But what you probably didn’t know is that Jerry Brown has been standing up for equality for decades. On the heels of today's exciting Field Poll - which shows Jerry ahead of Meg by ten full percentage points - comes yet another endorsement announcement, this time from the California leg of famed environmental group the Sierra Club. The Sierra Club joins a blizzard of other organizations, publications, and elected officials that have all publicly stated Jerry would be the best person to serve as our state's next Governor. Tomorrow night marks the beginning of a series of three debates between Jerry and Meg. The action starts at 6pm on the UC Davis campus. California political junkies can rejoice: If you're as excited about a live, face-to-face discussion on the issues as I am, you can follow the action on Jerry's Twitter page.